Thank you for visiting another one of Classic Motor Cars's online listings! 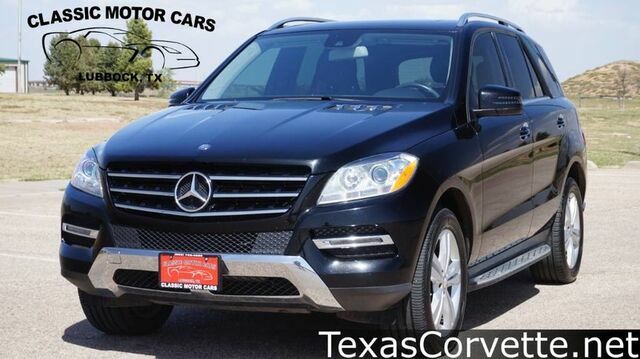 Please continue for more information on this 2014 Mercedes-Benz M-Class ML 350 with 75,388mi. Drive home in your new pre-owned vehicle with the knowledge you're fully backed by the CARFAX Buyback Guarantee. In their original incarnation, SUVs were chiefly owned by folks who valued "utility" above "sport." Not anymore! The Mercedes-Benz M-Class ML 350 redefines the SUV and makes the perfect "all around" family companion. Opulent refinements married with exceptional engineering make this the kind of car you'll want to own for a lifetime. Enjoy safety and stability with this all-wheel drive vehicle and drive with confidence in any condition. The Mercedes-Benz M-Class ML 350 has a navigation system installed, so you'll always know where you're going. This top-tier navigation system is reliable and will get you to your destination quickly and by the most efficient route available. The 2014 Mercedes-Benz M-Class is one of the most refined, most comfortable, and safest luxury SUVs available. It's also surprisingly fuel-efficient -- especially in ML350 BlueTEC diesel guise. The M-Class' interior has much-improved materials and detailing compared to the previous version, and it's now one of the most lavish cabins in its class. An off-road package for several different modes of trail driving is available and allows for ground clearance of up to 11.2 inches and a water-fording depth of 23.6 inches. The package also includes a locking center differential and a 2-speed transfer case.